So my friend and colleague Ruth Ann Nordin (check out her blog here) emailed me at some point last night, saying that she had read Reborn City and had posted a review on Amazon. Obviously, this got me excited, as I love getting feedback from readers, and I especially like hearing it from authors I respect and admire (which reminds me: Ruth, thanks for reading RC! I hope you enjoy Video Rage when you get to it!). So I was eager to see what she posted online. As I hoped, the review had only nice things to say. 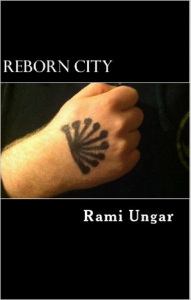 Now if you don’t know what Reborn City is, it’s the first book in a science fiction trilogy I started writing in high school. It follows the trials of a street gang called the Hydras living in the titular city, the leaders of which have strange powers. The story has a lot of themes that are relevant to today’s world, including Islamaphobia, racism, drug addiction, gang violence, and, perhaps most importantly, overcoming what you think of yourself and what others think of you. 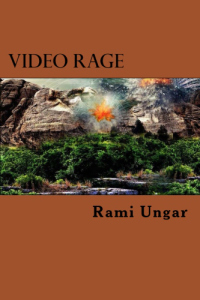 Reborn City‘s sequel, Video Rage, was released this past June, and I hope to start on the final book, Full Circle, later this year. I decided to read this book because I know the author and have enjoyed his other works. I’m not a fan of books about gangs, so I wasn’t sure if I’d enjoy this story, to be honest. But I felt an immediate connection to the main characters right away, and this compelled me to keep reading. SPOILER ALERT: This book took an unexpected turn. About halfway into it, it became apparent that the main gang members were special, and it was the unusual interest a shady government operation was showing in them that really pulled me in. There is an awesome genetic engineering component that I love in books and movies. The gang’s backstory was one of the best I’d ever read. This is a book that didn’t disappoint the sci-fi thriller lover in me. In my opinion, this would make a great movie. As a warning, there is a lot of cussing. The violence wasn’t all that bad (maybe a PG-13). Funnily enough, I usually write my books like a movie in my head, so the movie comparison is pretty on the spot. Not only that, but I think a Reborn City movie would be pretty awesome. Especially if we get Tyler Posey from Teen Wolf to play male lead Rip and Samuel L. Jackson from to play main antagonist Jason Price. If anyone here knows those guys and can get them to read the book, please do so! I’d love for them to read it, and maybe like it enough to help produce a movie version. Let’s make that happen, okay?! If any of this has made you want to check out Reborn City, I’ll provide the links below, as well as for its sequel, Video Rage. And if you do end up reading the book(s), I hope you’ll let me know what you think. Positive or negative, I love and appreciate getting feedback from readers, and it makes me a better writer when you folks tell me what works and what doesn’t. Well, tomorrow’s Friday, so you know what that means. While I prepare for that, I’m also posting the link to an interview with Awesome Book Promotions that came out yesterday. So check that out, if you so desire. It’s pretty awesome, as the title suggests. I am glad you are getting so many great reviews and I can actually see this unfold as a movie someday as well! Who knows what the future holds! I can tell you, I have the third book in the works. I think people will like what I come up with. Either that, or it will have too many things going on. Either is possible. Hahaha uhm … okay! Sounds interesting. I hope it will be when I’m done.